LD Andy Rushing Turns to 4Wall to Light TBCO Conference | Press Center | 4Wall Entertainment, Inc.
Nashville, TN- Once a year, members of The Belonging Co. Church embark on a unique 3-day worshiping experience filled with breakout sessions, guest speakers, worship, and music during the annual TBCO Conference. 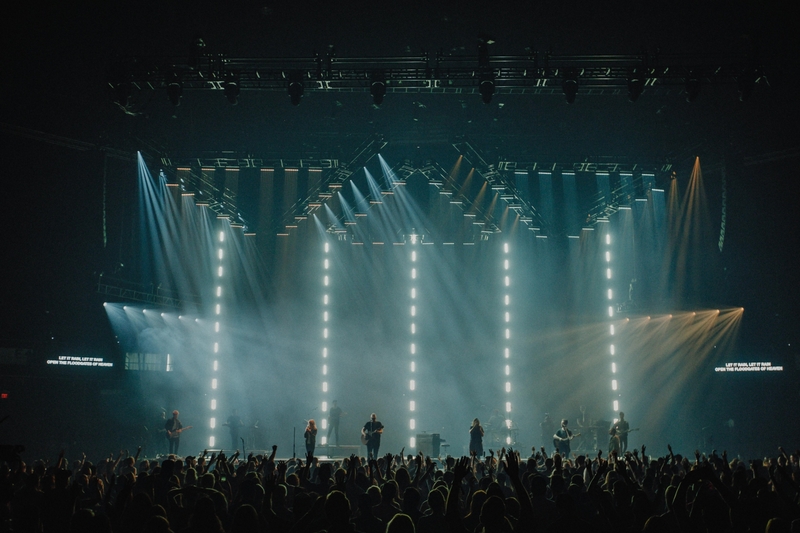 Lighting Designer Andy Rushing was tasked with creating an impactful lighting design for the conference utilizing a rental packing provided by 4Wall Entertainment. The rig for this year's conference was by far the largest this conference has seen in previous years. The goal for Rushing was to create a design that was larger than life. "The theme was 'Awe and Wonder', so we wanted to have elements that really brought that to life," explained Rushing. "We were able to go really tall with the rig this year, which helped us achieve some massive looks." 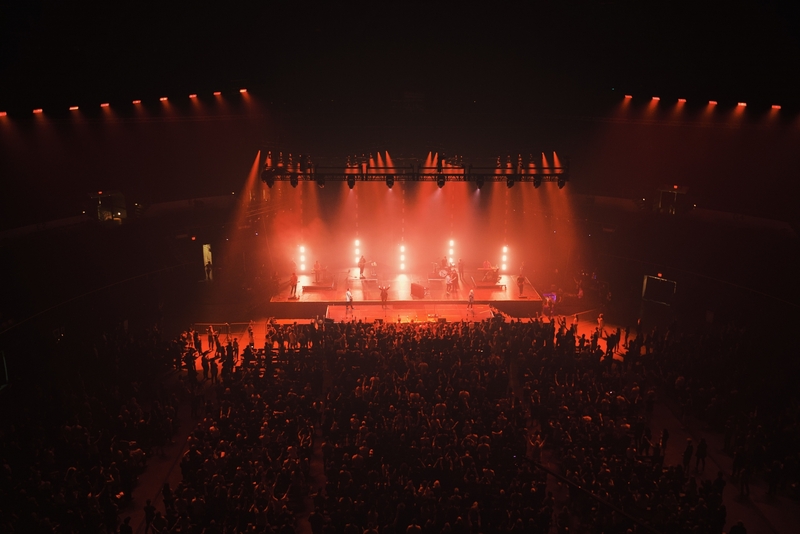 The stage had 4 video walls that were 27' tall by 16' wide, and in between those were 32' tall truss towers lined with GLP JDC1 fixtures. 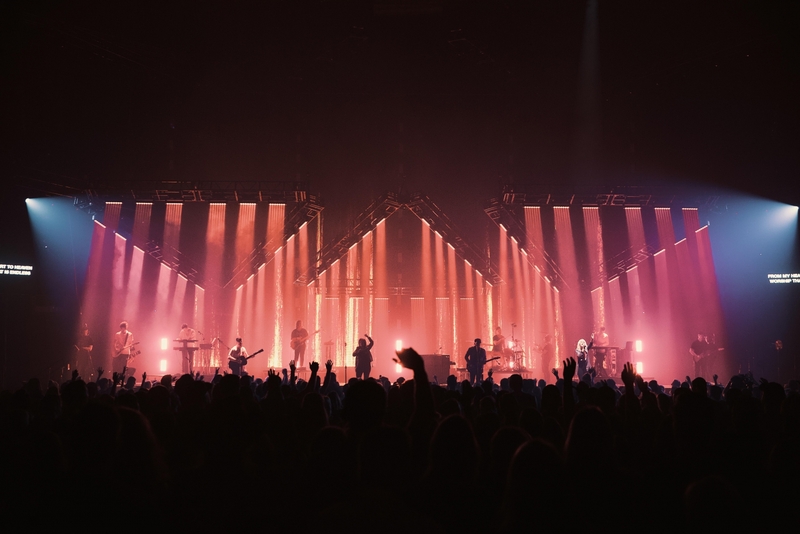 Rushing and his team were also able to create an automated grid over the stage with Ayrton MagicBlade-R and Robe MegaPointe fixtures, so they could ultimately change the shape of the stage at any moment. 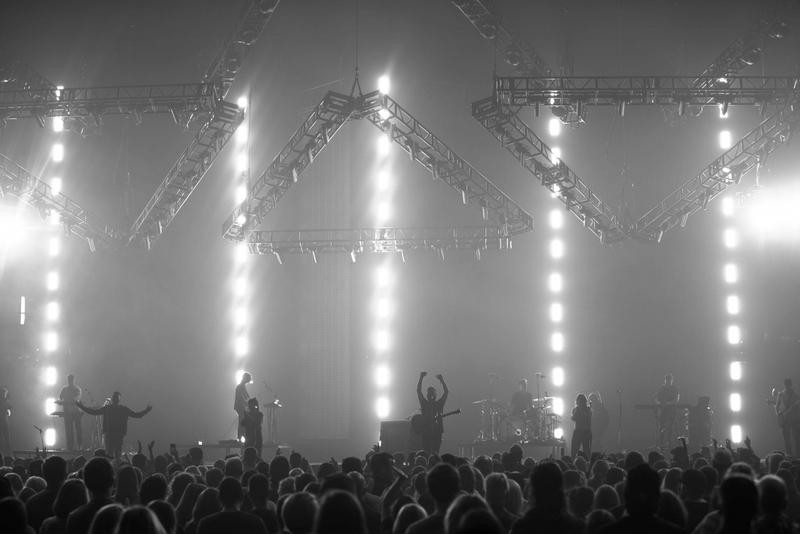 The 5 truss towers were lined with 12 JDC1s each which created a massive wall of light that could be manipulated by pixel mapping. "These fixtures won the gig for me, I love them," said the LD. "They are so versatile as well as powerful. 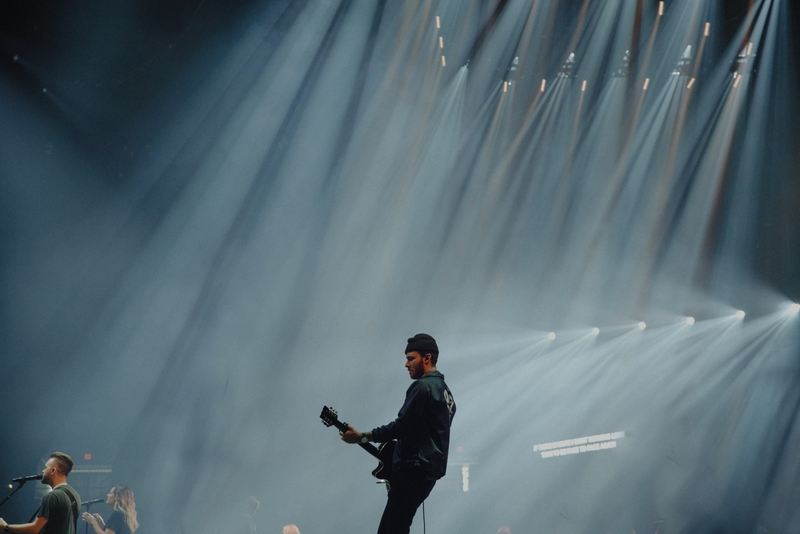 Being able to create pixel effects on both the strobe and LED portion was super helpful as well as having the massive punch to overpower anything else that as happening on stage." The MagicBlades and MegaPointes created an awesome roof over the stage with some great linear pixel effects as well as powerful beams and gobo looks. 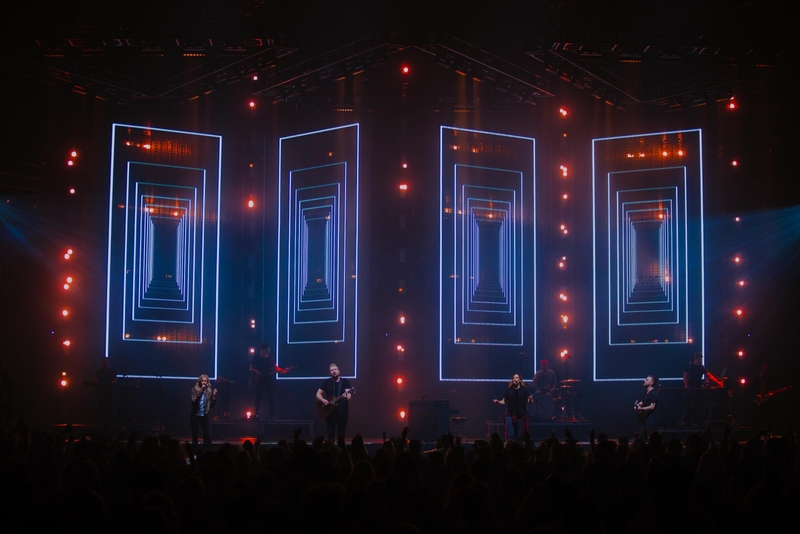 "We also utilized 16 Chroma-Q Color Force II 72" LED battens behind the video walls to create a bright blow through effect that made the video wall disappear if needed," explained Rushing. 4Wall also provided Robe BMFL Blades that were used for front light as well high side texture and crowd looks. The LD spoke of the service and gear 4Wall provided. "As always, 4Wall knocked it out of the park," said Rushing. "The gear is always great and so is the service! 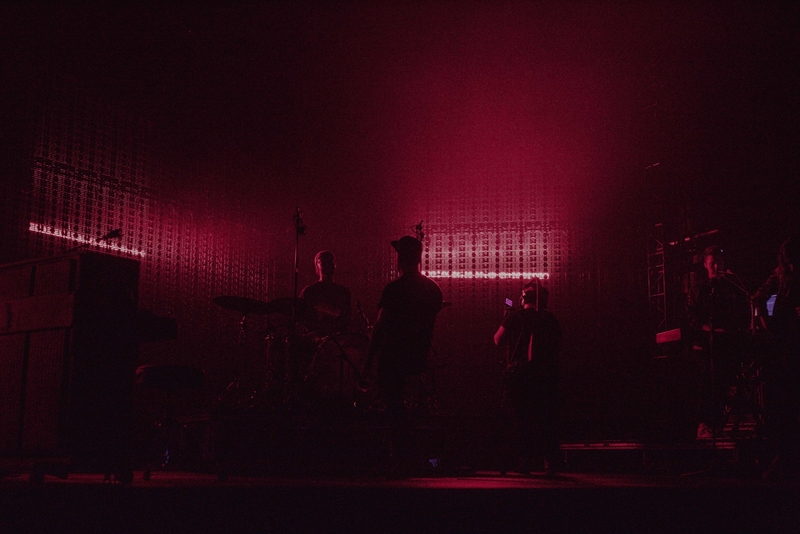 I'm also very excited to try out the new video department for future projects!"